Dark Seed is classic-styled adeventure game featuring the art works of acclaimed Alien designer H.R. Giger. This is the CD-ROM version run through DOSbox at 1440 in 4:3 aspect. 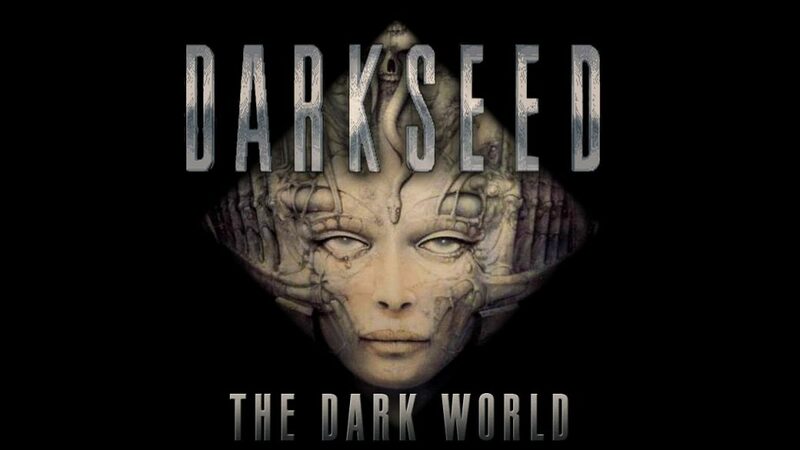 Dark Seed is a psychological horror point-and-click adventure game developed and published by Cyberdreams in 1992. It exhibits a normal world and a dark world counterpart, which is based on the artwork by H. R. Giger. It was one of the first point-and-click adventure games to use high-resolution (640 × 350 pixels) graphics, to Giger’s demand. A sequel, Dark Seed II, was released in 1995. Mike Dawson is a successful advertising executive and writer who has recently bought an old mansion on Ventura Drive (named after Ventura Boulevard) in the small town of Woodland Hills. On his first night at the house, Mike has a nightmare about being imprisoned by a machine that shoots an alien embryo into his brain. He wakes up with a severe headache and, after taking some aspirins and a shower, explores the mansion. He finds clues about the previous owner’s death, which reveal the existence of a parallel universe called the Dark World ruled by sinister aliens called the Ancients.